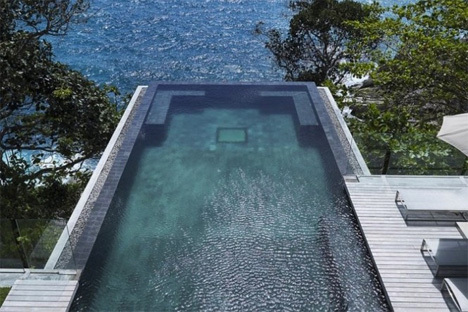 Swim to the edge of an infinity pool that feels as if it’s going to pour right out into the sea, or stand on a glass-walled balcony hanging off a cantilevered volume, seeming to hover in mid-air. 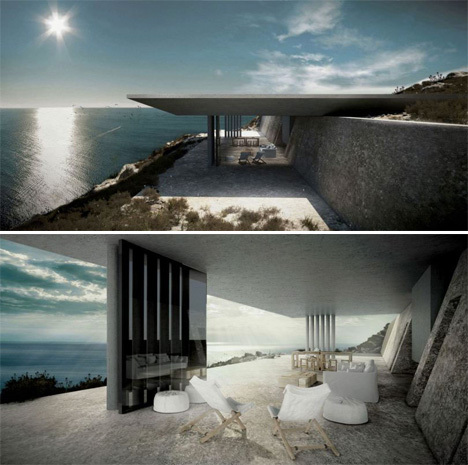 These dramatic cliffside houses are anchored to stone, but extend out over the landscape for incredible views. 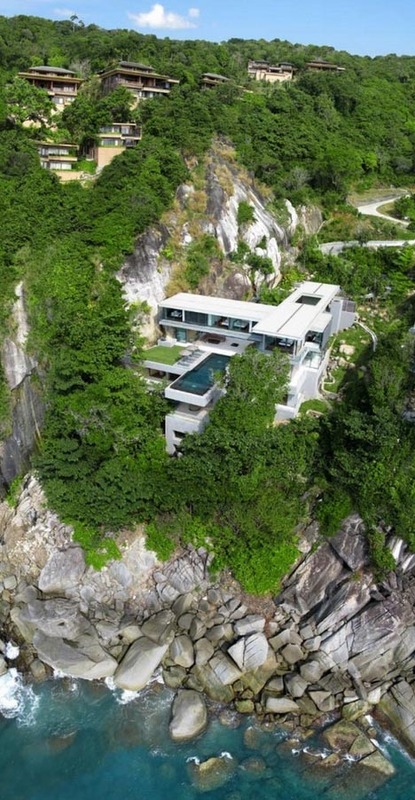 A sparkling infinity pool juts out over the rocks in this incredible ultramodern Thailand home by Original Vision. 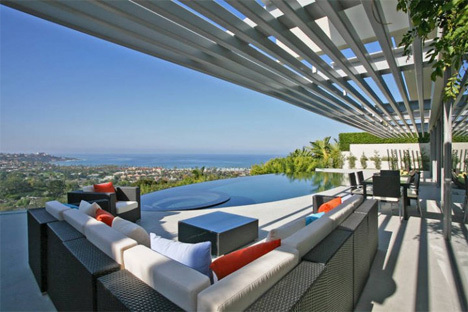 Stacked volumes create outdoor spaces that are open to the air, while the entire ocean-facing facade is made up of glass walls, windows and doors to properly appreciate the view. 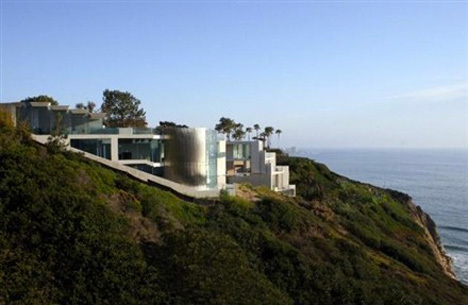 Everything about this home in La Jolla forms an echo of the sky and sea, from the glittering glass and reflective pools to the all those curving lines. 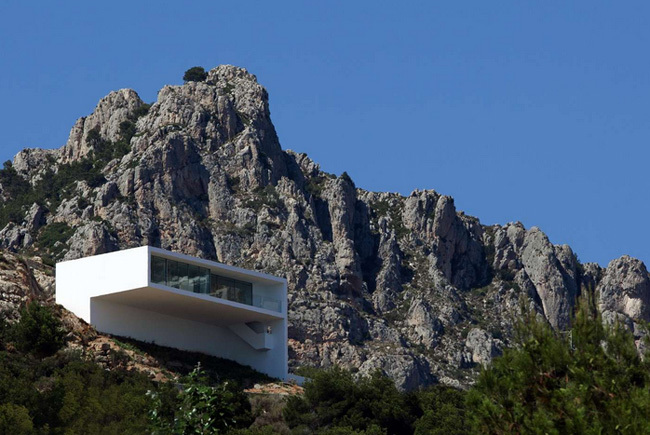 Architect Wallace Cunningham created organic forms in marble-like white polished concrete and built the house into the hillside so it would feel as if it were a part of the landscape. 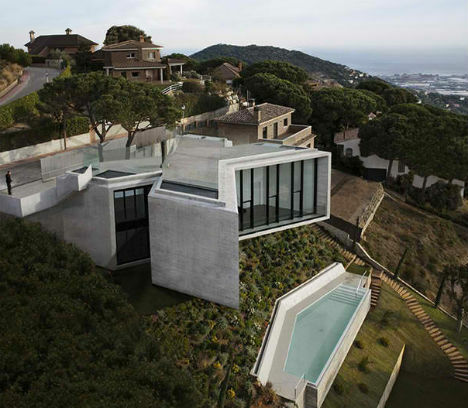 Nearly invisible from the street, this X-shaped residence by Cadaval & Solá Morales is tucked into the cliffside so that the roof is actually a driveway and terrace overlooking Barcelona. 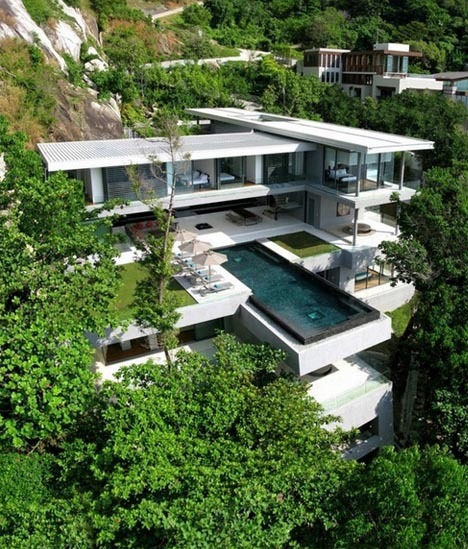 Residents descend into the two levels of living spaces below. 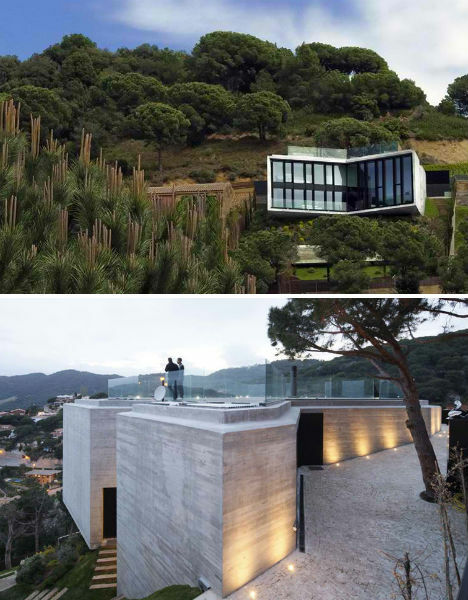 The incisions at the top and bottom of the ‘X’ let in light while preserving privacy. 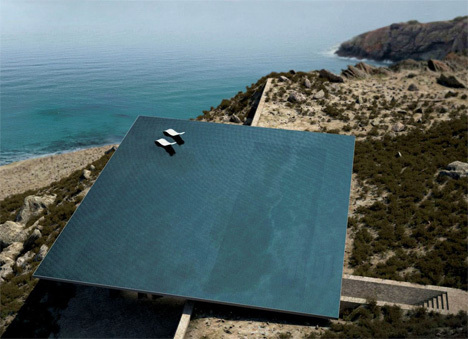 At just the right angle, this home nestled into the hills of Tinos Island in Greece’s Cyclades archipelago seems to disappear altogether, its rooftop infinity pool blending into the Aegean Sea. 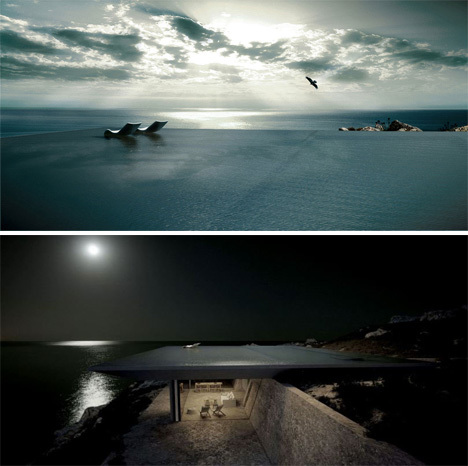 ‘Mirage House‘ by Kois Associated Architects was envisioned as an “invisible oasis” will all interior spaces tucked into the subterranean rock-sheltered portion of the home.